Make it! Move it! Mount it! 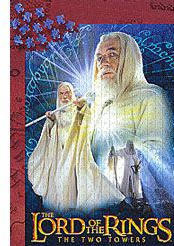 Now The Lord Of The Rings comes in this great Perfalock 500 piece poster puzzle assortment. Size (inches): 12.01" X 10.04" X 3.54"
Puzzle Dimensions: (Height) 36" X (Width) 24"